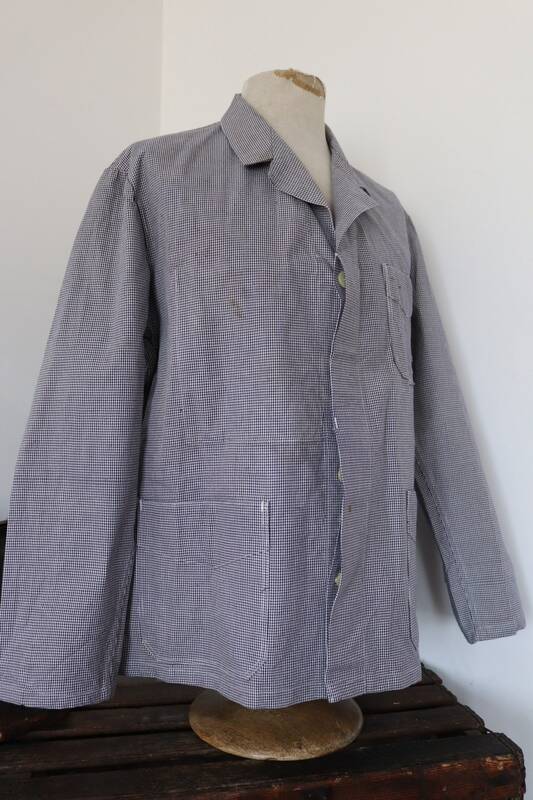 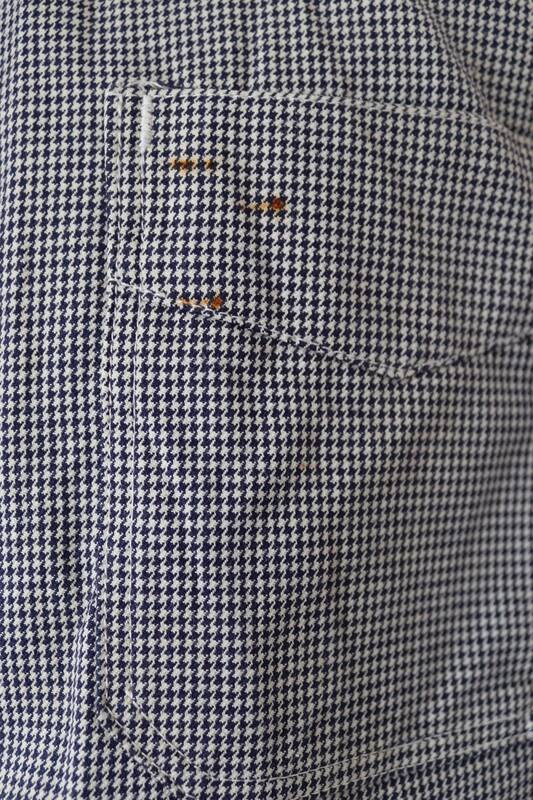 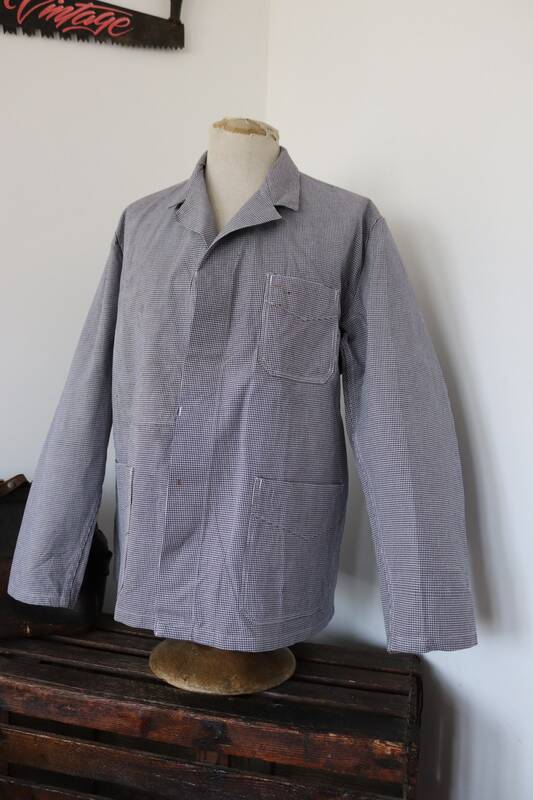 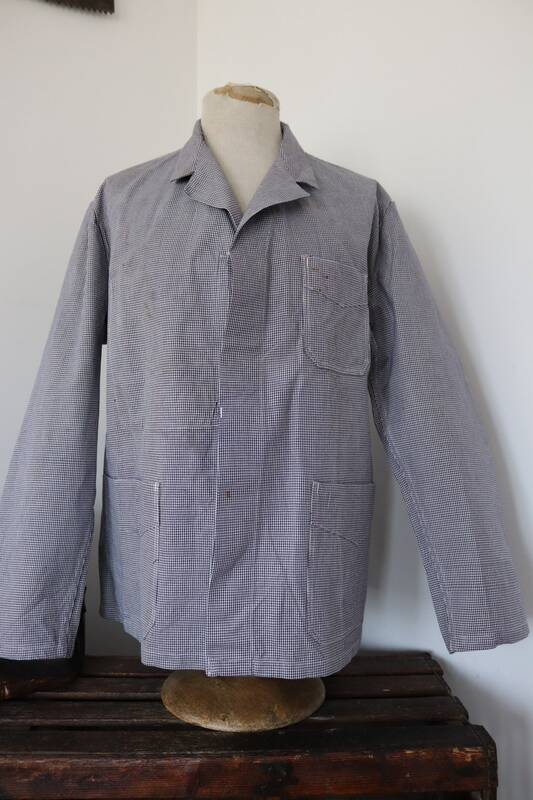 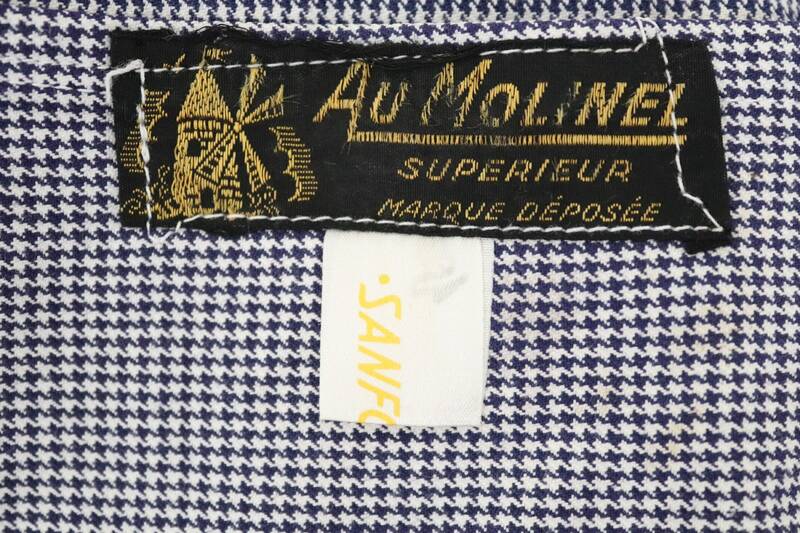 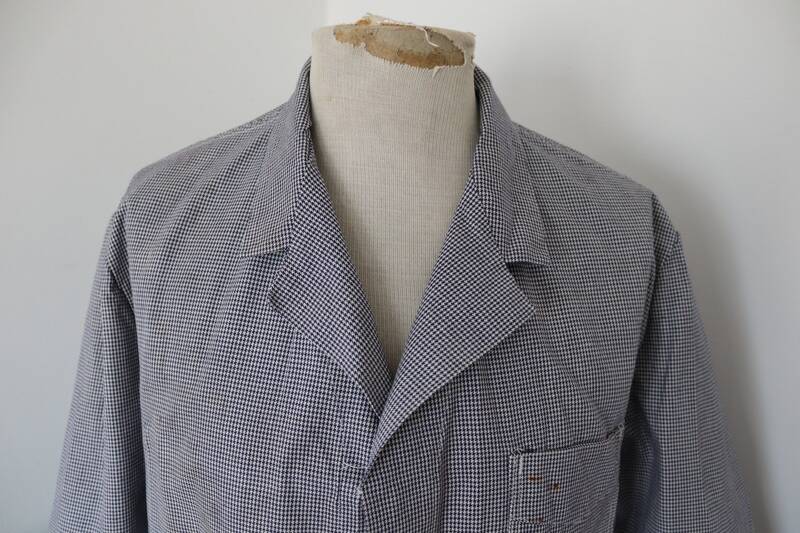 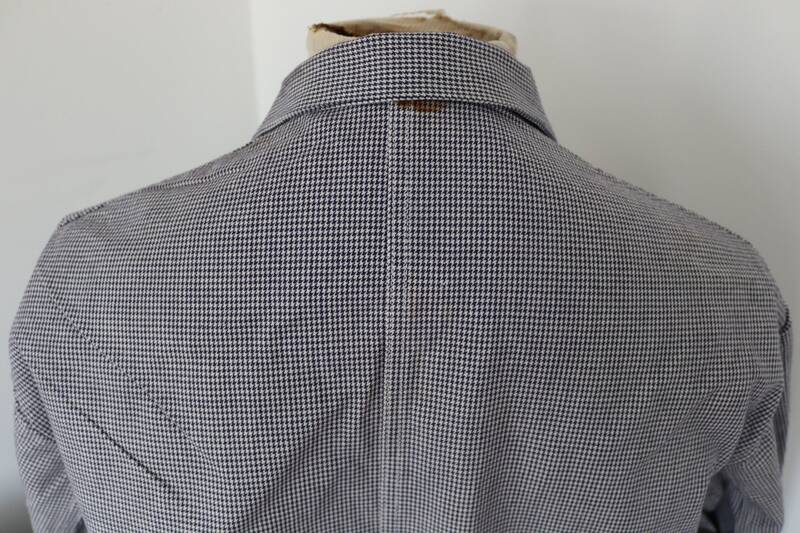 A blue and white houndstooth French butcher's jacket, dating from the 1960s. 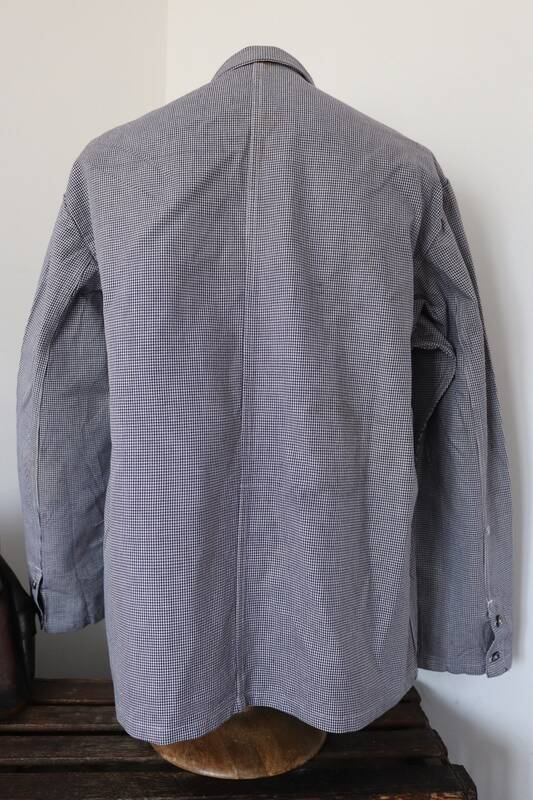 Noted flaws - although this jacket has never been worn (original paper tags were still attached), there are some rust spots and storage marking throughout - please see photos. 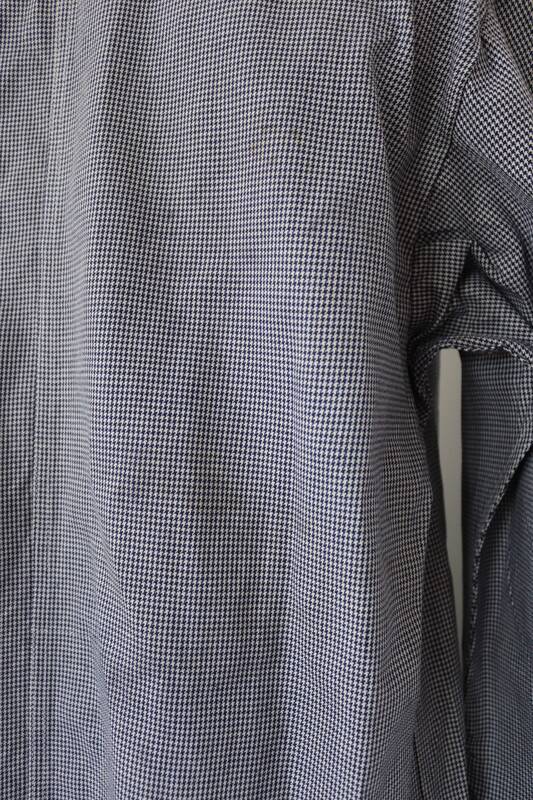 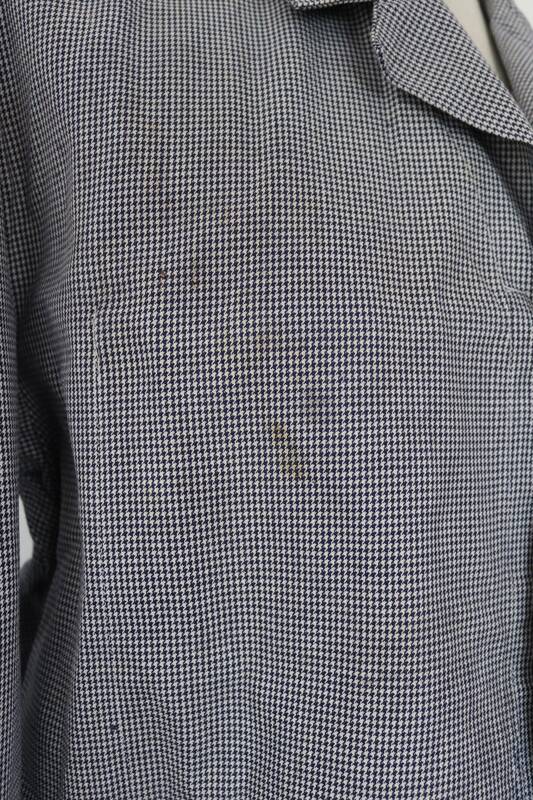 Hidden buttons, single chest pocket, two hand pockets, double cuff buttons, great quality.